December: and for many of you the school term almost over. A joy, I am sure, as this month is for me, too, for that reason – but also a trying one, personally. And this uneasy admixture continues with the announcement that Adam Tavel, after two years as our magnificent Book Reviews writer, departs to devote more time to his own equally remarkable work, and teaching, and raising his delightful family. It’s been quite a run, as athletes tend to reflect when they consider their final playing days, and we wish all good things to Adam. (Not to forget, we hope to lure him back to guest edit an issue in the future, should the need arise.) So, Mr. Tavel – Roan! (And only you know what this signifies, I think.) We’ll introduce your successor next month – a vivid, searching intelligence which will spark that column beginning 1 January. Vievee Francis writes startlingly beautiful, blazingly intelligent poems. Forest Primeval, her third book, winner of the Hurston/Wright Legacy Award for Poetry and the Kingsley Tufts Poetry Award, is one of the most accomplished collections to arrive in at least a decade. Francis pushes away from the dried husk of cultural preconceptions to depict a fierce inner life. She takes the temperature of her own exacting sensibility, applying pressure to common language formulas, and answering to moments of crisis. In an interview Francis has referred to herself as an autodidact, and possibly that focus on self-instruction accounts for some of her distinctiveness. Concentrated, self-directed reading, self-trust, and unerring attention to her own fluid and ambitious perceptions has outfitted her with the nerve and resources to pack each of her lines with unexpected textures and richly-layered conceptions. “I’m speaking of what the body keeps inside,” she writes in “Still Life with Dead Game.” The immensities of an inner life, under pressure, figure in many of her poems, particularly as she reinvents fairy tales and myths, investing their plots with newly disturbing implications. “What is a fairy tale / but a night terror” she asks as she works with a blooded sense of historical brutalities. Here, I want to focus on one poem from Forest Primeval, “Altruism.” Other poems by Francis may bristle with more directly sensory imagery, but this poem does something else that is remarkable: the poem stakes a claim for what it means to write poetry on one’s own terms. The word “given” and its variants are foregrounded until they perform with the physical dynamism and resonance more often associated with imagery. “Altruism” acknowledges the outsider who must find a way to write forcefully beyond expectations, including the expectations set by those with whom the poet might be conventionally allied. Francis positions the poem against self-satisfaction, including the satisfactions of melancholy. She advocates for a more profound ambition than status offers, and for forms of giving that don’t amount to self-depletion. In its entirety the poem will spiral twenty-two times on phrases beginning with the word “given,” including a few variants (“give,” “giving”). Most often “given” performs as an expectation, making a bridge between cause and effect. What is a given? A given is unexamined, an expected presumption. And what does it mean when we’re expected to be giving, when giving is mandated, a cultural imposition? In the second portion of the poem, Francis acknowledges more givens, ending with: “given the construction of a bird’s nest of pain, a bundle /of found objects and thin limbs, give me something / else.” In the third and final second the poem pivots with the introduction of the word give. truth such as it is. Here, the phrase “such at it is,” like “given that,” serves as another familiar language formulation. But “such at it is” is now washed in the turbulence of the poem where truth is searched for and marked. The speaker of “Altruism” wishes for “something else” beyond self-reflection, beyond pleasing others, beyond needless suffering, beyond nostalgia, beyond the “lip and the language of loss.” The poem advocates for getting as well as for giving, declaring the dignity of summoning one’s own distinct powers. “Altruism” stakes a claim outside the narrow confines of literary expectations and literary reputations. On the way, the poem addresses and enacts its speaker’s undeniable desire to make her own independent and disarming impression. Likewise, there’s no stopping a poet with such resonant gifts on so many levels as Francis. “Altruism,” after all, insists on honoring the truth of genuine appetite, not self-denial. Whatever denial is voiced is not toward appetite—but against whatever stands in the way of our right to authority, the right to yearn for and make and mark what we need to satisfy the deeper hungers. 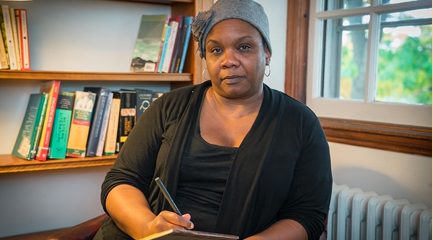 Vievee Francis is the author of three books of poetry, most recently Forest Primeval, winner of the Hurston/Wright Legacy Award and the 2017 Kingsley Tufts Poetry Award. Her other awards include the Cave Canem Northwestern University Press Poetry Prize for Horse in the Dark (2012), the 2010 Kresge Artist Fellowship, and the 2009 Rona Jaffe Foundation Writers’ Award. She is an associate editor of Callaloo. Lee Upton’s most recent book is Visitations: Stories, which appeared in August 2017 in the Yellow Shoe Fiction Series. She is also the author of Bottle the Bottles the Bottles the Bottles: Poems. Her poetry has appeared widely, including in the New Yorker, the New Republic, the Atlantic, Plume, and in three editions of Best American Poetry. Plume will become part of the (indoor!) Bryant Park Winter Series; our date is Tuesday, January 2018. January 16, at 6pm. The four poets reading will be D. Nurkse, Rachel Hadas, Jessica Greenbaum, and Tom Sleigh. If you’re in the neighborhood, come by! Penultimately: As previously noted, for the launch of Poetry 6 Plume we host readings on 7 and 8 March at AWP, early evening, probably 7:00 – 9:00. We have a beautiful venue – more on that next issue – but suffice to say for now there just happens to be a bar/restaurant in the same building, to which we can repair and chat away — always the best part of these evenings, I think. Please, if you’re at the conference – come! *We will add several readers to the 7 March roster in the coming days and announce the complete line-up in the January issue. 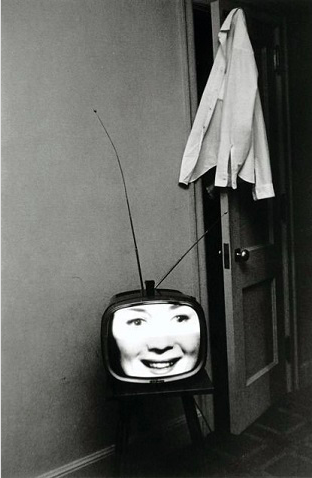 Last: our cover art this issue – from the great Lee Friedlander. His work appeared in Esquire, Art in America, Sports Illustrated, and other periodicals, and he had his first solo exhibition at the George Eastman House in 1963. Subsequent exhibitions of his work include “Toward a Social Landscape” at the George Eastman House in 1966 and “New Documents” at the Museum of Modern Art in 1967, both of which identified his photographs with those of other “social landscape” photographers such as Garry Winogrand, Bruce Davidson, Danny Lyon, and Diane Arbus. Friedlander has published books regularly: Work from the Same House (with Jim Dine, 1969), Self-Portrait (1970), Flowers and Trees (1981), Lee Friedlander: Portraits (1985), and Cray at Chippewa Falls (1987). He has also produced the book Nudes (1991), and The Jazz People of New Orleans (1992). Friedlander is responsible for printing the negatives of the turn-of-the-century New Orleans photographer E.J. Bellocq, whom he rescued from oblivion.